Going from the web to print can be tricky. Do the stylistic choices you made when the comic was digital only make sense for an actual paper book? Should you leave things the way they are? Or do things need to change? 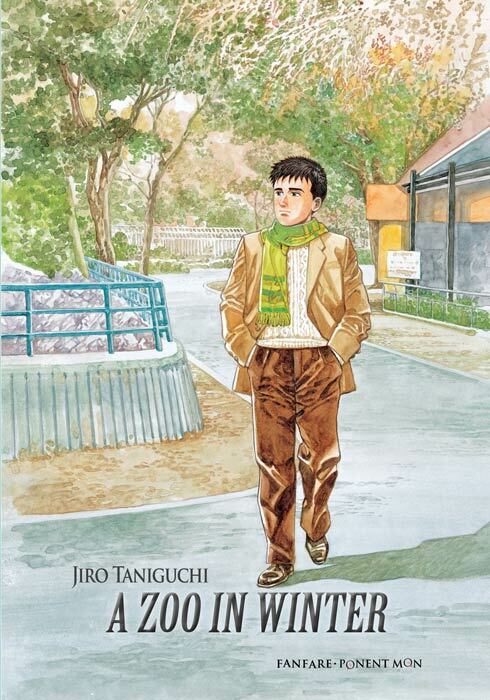 The comic itself is an adventure story in the vein of the oldest fairy tales. The main character, Anya, enters a forbidden abandoned city in order to save the brother she does not remember. Like the old fairy tales, the story is dark, but our heroine is plucky and determined. Unlike the old tales, there is no clean sweep of an ending. Over the Wall breaks the mold by reminding us that life is not a fairy tale. Things are still unresolved, still broken, despite our best effort. It feels like humanity has always been enamored with the apocalypse and Over the Wall is another take on a somewhat worn-down theme. Wartman’s comic is focused on the effects of the apocalypse on the local people, the rituals that spring up and take hold in a once more complicated world. The way people interact with the past is so important to Over the Wall, both in a contextual and literal sense. Over the Wall also spends a good amount of time contemplating how memory and reality are so closely linked. How long can we forget the name of a person before they disappear from our memory entirely? In death, do we only exist to those who knew our name? Over the Wall ties these concepts together fairly well, or at least lets them run concurrently. 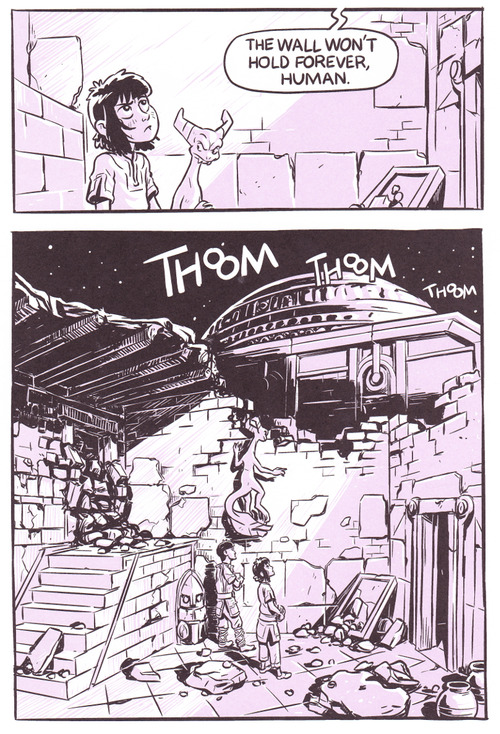 Wartman has gone on to add more to the Over the Wall mythos with a new webcomic, Stonebreaker, and perhaps Wartman will continue to expand on the concepts he has briefly outlined here. Above all, Over the Wall shows us that even a good story can be made cleaner and more evocative. That’s a great thing to learn. You can pick up Over the Wall at Uncivilized Books. * Peter has stated his intention was for the book to be black, white, and blue; however, he suffers from color blindness. 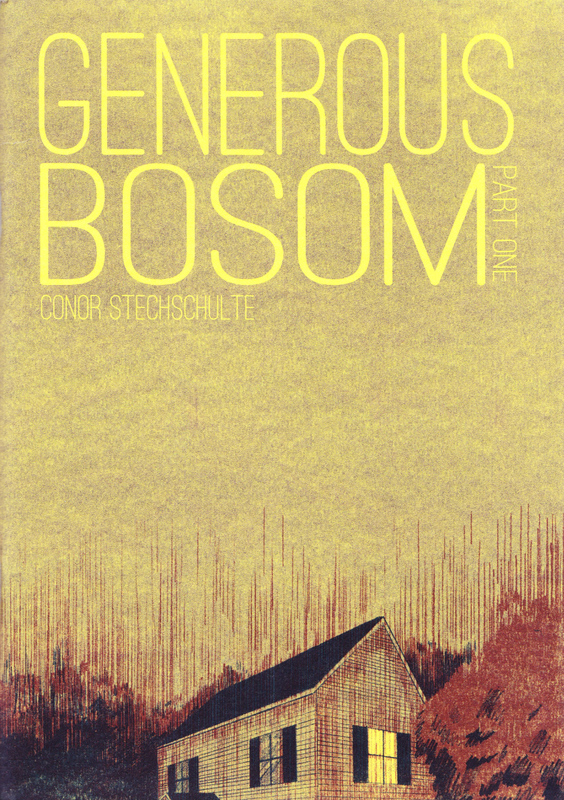 A happy accident in my mind, as the lavender color really sets the book apart visually. ** Peter has credited Tom Kaczynski, his publisher, for editing help in an interview with Keith Silva of Comics Bulletin.The interview is really fun, I recommend it. 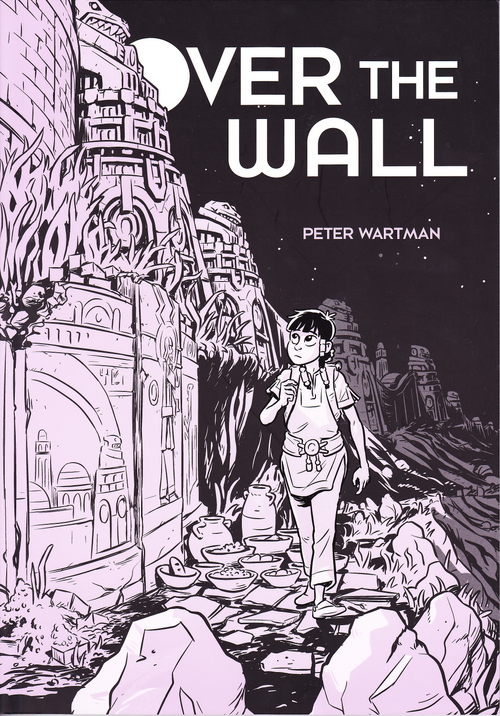 Internet is a bit on the fritz today, so here’s one from the archives – my review of Peter Wartman’s Over the Wall.